Distinguished metaphysicians examine issues central to the high-profile debate between philosophers over how to classify the natural world, and discuss issues in applied ontology such as the classification of diseases. 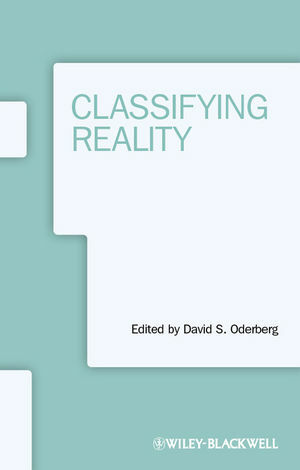 David S. Oderberg is Professor of Philosophy at the University of Reading, UK. He is the author or editor of several books in metaphysics and moral philosophy, and has contributed numerous journal articles on metaphysics, moral philosophy, philosophy of religion, philosophy of science, and other topics. Professor Oderberg’s texts on Moral Theory and Applied Ethics were both published by Blackwell in 2000, while his most recent book, Real Essentialism (2007), sets out a neo-Aristotelian system of metaphysics.